The CoolSculpting laser machine by Zeltiq utilizes cold energy to quickly and permanently get rid of fat cells in the body. Ideal for use with individuals who are within 20-30 pounds of their ideal body weight, the CoolSculpting process is perfect for a growing cosmetic practice that wants to attract new clientele. The CoolSculption system is an FDA-cleared, patented way of destroying fat cells without surgery. Through a specialized cooling process which freezes fat cells and causes them to die and be naturally eliminated from the body, the CoolSculption by Zeltiq is a safe, effective way to help patients lose extra inches fast. Not only is the CoolSculption machine effective, but the process is fairly painless as well. There’s no need for suction hoses, big needles or knives, and no need to worry about scarring. This makes the CoolSculption a popular choice for aesthetic professionals who want to offer a wide variety of skin rejuvenation and body contouring services to their practice. The Zeltiq CoolSculption is the perfect addition to any cosmetic practice. When you want to offer a safe, surgery-free way for patients to achieve their ideal self, see how effective and fast the CoolSculpting method is. It’s a smart investment and something that your clients will love for getting rid of fat throughout the body. Interested in adding the Zeltiq CoolSculption laser system to your practice? The Zeltiq CoolSculption is the perfect addition to any busy cosmetic practice that wants to expand its service offerings to include the most in-demand service. SunrayLaser.com has amazing deals on used Zeltiq CoolSculption laser equipment with savings that are up to 60% off the original price! See for yourself how much you can save on high quality used laser equipment when you buy from SunrayLaser.com. Please fill out the form below and we’ll provide a fast and free, no obligation quote. 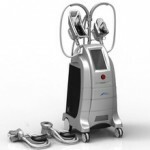 It’s an easy and no-risk way to learn more about this outstanding line of cosmetic lasers.